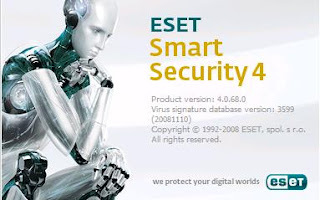 since it is a anti-virus it's job is to protect the system from all possible threats, we have hell of anti-viruses but why i choose eset...??? This option is very much helpful as now a days viruses are totally FUD, so protecting system will be at ease.. using this option we can continuously monitor the system for the outing connections. 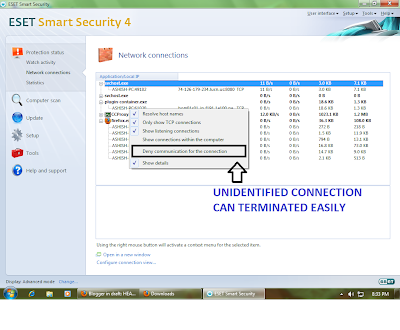 simply right click on the connection which is unidentified by u or u find it malicious and click on deny connection and the connection will be terminated. 2) The 2nd most liking feature of this AV which i like the most is "Learning mode". See the image above, for all the information sent by ur PC and the data received it will first prompt u whether u want to allow or not. If you find the connection authentic u can allow otherwise u should deny the connection. In the above screen-shot u can see the information like the application requesting for connection. its publisher, the remote ip address. Using the information we can verify whether it is authentic or not and then the required steps can be taken. I am a software developer and I have tested most antivirus softwares. 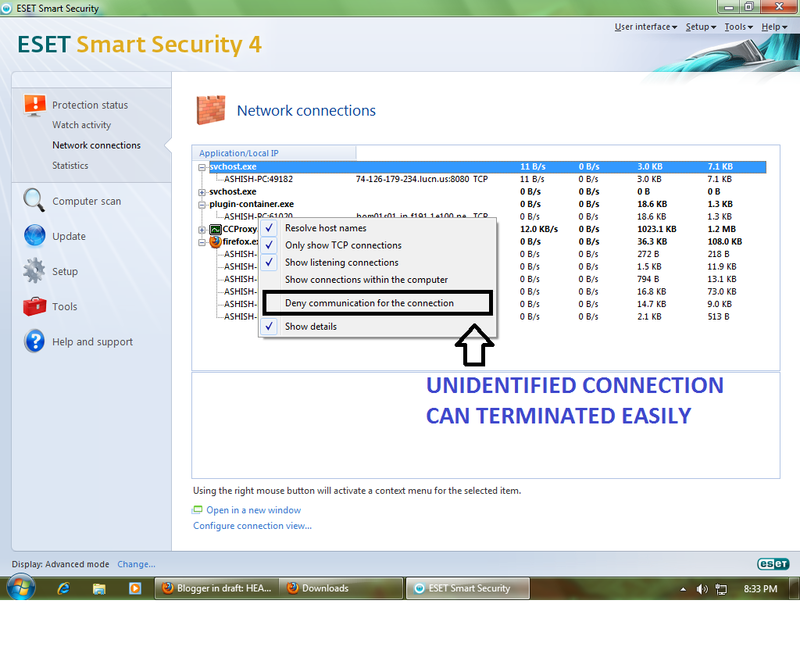 In my opinion it is the best antivirus software available. No matter how many virus attacks in a second, all of them are detected within no time.